The world lost a true legend today as Stan Lee, the man who co-created Marvel Comics and laid the groundwork for modern superhero stories, passed away at the age of 95. Lee reportedly passed away of natural causes. 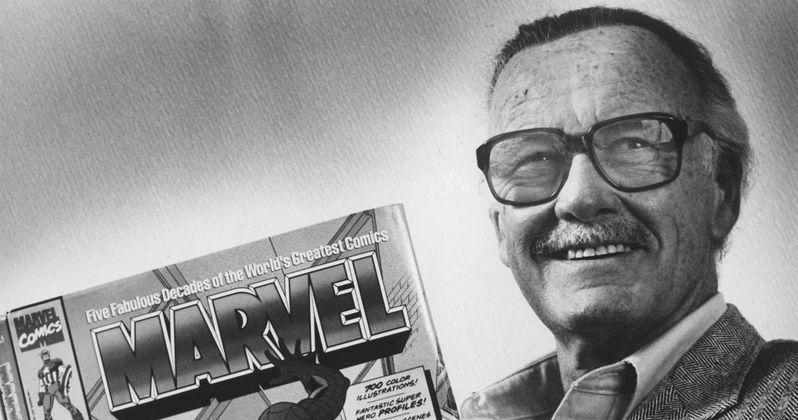 Those connected to the Marvel world, be it through comics, TV shows or the Marvel Cinematic Universe, have come out on social media since the news broke to show their love and support for the late icon. Stan Lee got his start at Timely Comics in 1939 before helping turn that company into what would become what we now know as Marvel Comics. Lee is responsible, in collaboration with other legends like Steve Ditko and Jack Kirby, for creating characters such as Spider-Man, Iron Man, Hulk, Black Panther, the Fantastic Four, X-Men and many, many others. Marvel was purchased by Disney in 2009, ultimately leading to the Marvel Cinematic Universe as we know it. As such, Disney CEO Bob Iger has close ties to Marvel and Lee. Iger had this to say in a statement about Stan Lee's Death. "Stan Lee was as extraordinary as the characters he created. A super hero in his own right to Marvel fans around the world, Stan had the power to inspire, to entertain, and to connect. The scale of his imagination was only exceeded by the size of his heart." While many comic creators are known by name to those who love them, Stan Lee had a larger than life personality and even up to his final days was very active with his fans and was a true voice for comics. Robert Downey Jr., who saw his career revived in a major way when he was tapped to play Tony Stark in the first Iron Man, took to Instagram to share his gratitude and pay tribute to the late Stan Lee. I owe it all to you... Rest In Peace Stan... #MCU #Excelsior #legend #rip #stanlee #TeamStark"
Virtually anyone who has ever starred in a Marvel TV show, movie or worked on a Marvel comic is coming out on social media to pay their respects. Chris Evans, Anthony Mackie, Sebastian Stan, Tom Holland, Evangeline Lilly, Letitia Wright, Ryan Reynolds, Tom Hardy and many other stars of Marvel movies have shared their thoughts. Directors such as Scott Derrickson (Doctor Strange) and the Russo Brothers (Avengers: Infinity War), also paid tribute, as did artists and writers like Jim Lee, a Marvel legend in his own right. Hugh Jackman, who played Wolverine on screen for nearly two decades, had very kind words for Stan Lee in a post made to his official Twitter account. "We've lost a creative genius. Stan Lee was a pioneering force in the superhero universe. I'm proud to have been a small part of his legacy and .... to have helped bring one of his characters to life. #StanLee #Wolverine"
Seeing how many people connected to the Marvel brand that have come out already to pay tribute to Stan Lee shows just how wide-reaching his influence was. Few people can say they've had the impact on pop culture that he did and he is going to live on for many years to come. Be sure to check out tributes from those in the Marvel family below. STAN LEE died a little while ago! We should all have been prepping for the eventuality, but it's still no less a shock to the cultural universe—especially to me because he was my mentor and we've stayed in touch more than 50 years! It's the END OF AN ERA! RIP, my old friend!!! No writer or their work has ever had as profound an effect on my life as that of Stan "The Man" Lee. In the history of the written word, no one even comes close. His stories will live on for every generation. Never "The End". Always "To Be Continued..."